The Association of Brass Band Adjudicators (AoBBA) has been delighted with the response for their ‘Young Adjudicators’ initiative which has now gone live at both the Yorkshire Regionals and the London and Southern Counties Regional contests. AoBBA are extremely grateful to Peggy Tomlinson and her team at the Yorkshire Region in giving fantastic support over the last few years to this scheme which can now be offered to all regions in the UK. 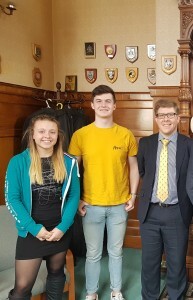 Secretary Nick Garman commented “At AoBBA we are conscious that we need to develop an interest in the art of adjudication at an early age and the Young Adjudicators initiative has proved so successfully we are to roll it out nationally from 2020″. This year AoBBA are running the scheme in both the Yorkshire and LSC regions and the young people, aged from 11 – as in a live situation, writing their own remarks and producing a results sheet, comparing their list with the adjudicators. Once the official results were given the youngsters met with the official adjudicators for a final debrief. 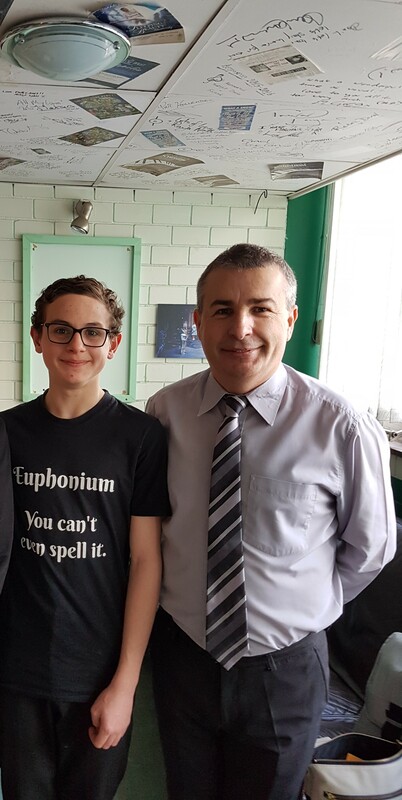 13 year old Thomas plays baritone with Medway Brass who came third in the 1st Section on Saturday and was extremely excited to be accepted to be part of the panel.